We obtain an analytic expression of the weak-field deflection angle of a model galactic halo through the application of the Gauss-Bonnet theorem on the optical metric, a method suggested by Gibbons and Werner. Our model makes use of the Navarro-Frank-White (NFW) density profile up to some galactic halo length scale a. Beyond this radius, the energy density falls proportional to r-n so that the mass function is rendered finite at spatial infinity. We find that the deflection angle is finite for any value of the impact parameter and behaves comparable to the deflection due to a Plummer sphere. K. de Leon and M. F. I. Vega. 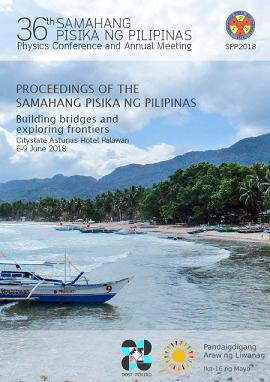 Weak lensing by a galactic dark matter halo, Proceedings of the Samahang Pisika ng Pilipinas 36, SPP-2018-PB-16 (2018). URL: https://paperview.spp-online.org/proceedings/article/view/SPP-2018-PB-16.